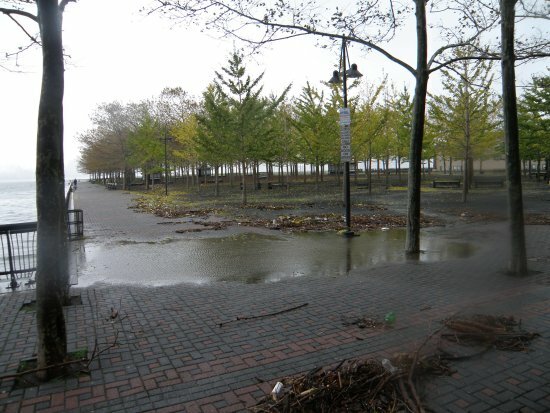 In the aftermath of Hurricane Sandy, several articles examined the impacts of the superstorm on waterfront parks in New York and New Jersey, in particular the suitability, or lack thereof, of plant species and landscape types. For example, Pitch Pines and other salt-tolerant species planted in Brooklyn Bridge Park survived up to four hours of inundation by "brackish and salt water," according to Rebecca McMackin, park horticulturist for Brooklyn Bridge Park. Ms. McMackin wrote a post-storm assessment of the park's horticultural management program and procedures. On the other hand, in East River Park, mature trees were uprooted and others were damaged by salt introduced by the surge. 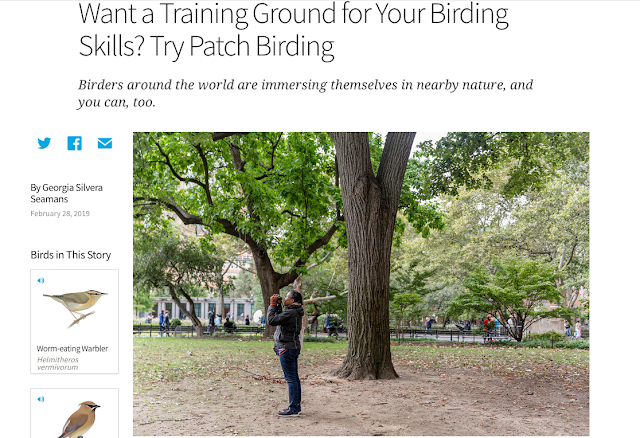 In an interview with the New York Press, Christine Datz-Romero, executive director of the Lower East Side Ecology Center, would like restoration to include vegetating the park with salt tolerant species or making wetlands or marshes that would attenuate wave energy. In the same article, 74th District Assembly Member Brian Kavanagh also pointed to the ecological services provided by "naturally occurring beaches along the East River." The morning after [Sandy], the 97 London Plane trees comprising the grove on Pier A and multiple rows along the promenade were all left standing. The 9-11 memorial ginkgo trees also were left intact. Just two of the trees growing between the bike path and the walkway were uprooted. The survival of these trees has been attributed to the design of the site. The planetree grove was planted in three feet of "specially formulated structural, 'air-entrained soil' that has allowed the roots of the trees to quickly spread spread horizontally, thus providing for great stability." The site was designed by landscape architects Henry Arnold of Arnold Associates and Cassandra Wilday and received Honor Awards from ASLA in 1997 and NJASLA. You can see photos of the site in years 4 and 8 at the Arnold Associates website. I am engaged in a comparative study of urban vegetation management practices and policies as a response to storms. If you know of other articles, reports, or websites that deal with this topic, please include the information in a comment.